EXTON, Pa., Oct. 31, 2014—Bentley Systems, Incorporated, the leading company dedicated to providing comprehensive software solutions for sustaining infrastructure, today announced the immediate availability of Bentley OpenPlant Orthographics Manager V8i for the automatic extraction and production of high-quality general arrangement (GA) plant drawings from a 3D model. This newest addition to the Bentley OpenPlant family of products reduces the time required to output single- and double-line drawings, including all annotations, dimensions, and label placements, from hours to minutes. integration with Bentley’s ProjectWise collaboration services, enabling designers to easily and securely share drawings and other files across even globally dispersed projects, saving time and overall costs. To learn more about Bentley OpenPlant Orthographics Manager V8i, clickhere. To download a high-resolution Bentley OpenPlant Orthographics ManagerV8i image, click here. 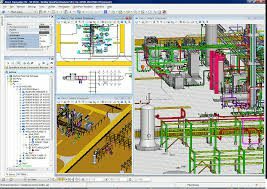 OpenPlant is Bentley’s emerging pacesetter to deliver collaborative BIM advancement for multi-discipline engineering of process plants. OpenPlant is being widely adopted by leading plant engineering, procurement, and construction contractors and owner-operators, who have confirmed it as the most practical system to support plant design, engineering, construction, and operations – in terms of fastest return on investment – and the most scalable. Through its use of iRING/ISO 15926 as an intrinsic data model, OpenPlant enables users to coordinate and share information across multiple disciplines and the infrastructure lifecycle. For additional information about Bentley OpenPlant, click here. Bentley Systems is the global leader dedicated to providing architects, engineers, geospatial professionals, constructors, and owner-operators with comprehensive software solutions for advancing the design, construction, and operations of infrastructure. Bentley users leverage information mobility across disciplines and throughout the infrastructure lifecycle to deliver better-performing projects and assets. Bentley solutions encompass MicroStation applications for information modeling, ProjectWise collaboration services to deliver integrated projects, andAssetWise operations services to achieve intelligent infrastructure – complemented by worldwide professional services and comprehensive managed services. Additional information about Bentley is available at www.bentley.com and inBentley’s annual report. For Bentley news as it happens, subscribe to an RSS feedof Bentley press releases and news alerts. Visit The Year in Infrastructure 2014Conference for highlights of Bentley’s premier thought-leadership event. To view a searchable collection of innovative infrastructure projects from the annual Be Inspired Awards, access Bentley’s Infrastructure Yearbooks. To access a professional networking site that enables members of the infrastructure community to connect, communicate, and learn from each other, visit Be Communities.